Born in 1964, Richard graduated from Exeter University with a History degree in 1987. He joined Smith New Court in the City of London as a graduate trainee, prior to moving to Hambros Bank, where he was the Investment Strategist, specialising in US equities and global funds. 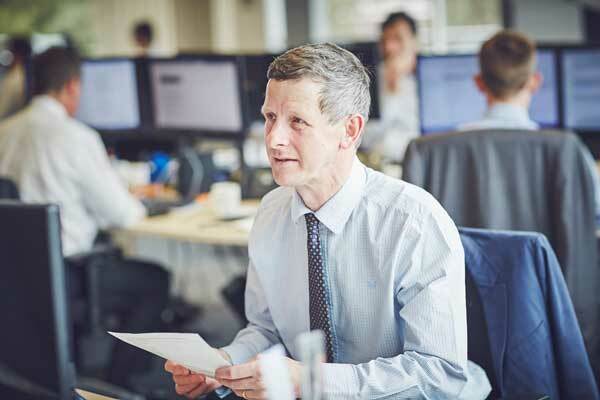 Richard moved down to the West Country to join Exeter Investment Group (EIG) in 1995, and was in charge of the firm’s conventional investment trust holdings. He was the manager of The New Zealand Investment Trust, and won many awards for his management of two funds, Exeter Pacific Growth and Exeter Global Opportunities. He continued with EIG through a period of major corporate change involving deals with iimia, Miton and Midas, and managed iimia Growth & Income Fund from its launch in 2005 through to his resignation in 2008 when he joined Hawksmoor Investment Management, establishing the Fund Management Department and launching the Vanbrugh Fund. Richard was co-manager of the Vanbrugh and Distribution Funds from their respective launch dates, prior to moving to the role of Adviser to Hawksmoor Fund Managers on 31st December 2018. He is an Associate of the UK Society of Investment Professionals. Richard married Ros in 1988, a fellow graduate from Exeter University, and has two daughters Isabelle and Sophie. His interests include history, classical music, and golf. Richard is a Christian, and is an active member of St Leonard’s Church in Exeter.